Just have a look at the photograph above, and you will see a little hand which belongs to my 2yo daughter, she is playing with my watch. Clearly, she hasn't got any clue about the function of this product (yet) as she is holding it upside down. Even though, there are moments when she feels bored, or excited. And this is something you have to keep in mind: A moment is different from the time that you count on your watch. Because sometimes, time flies, and in another moment 1 minute takes ages. How does this actually happen? And why it's important for understanding Customer Behaviour, especially Mobile UX? 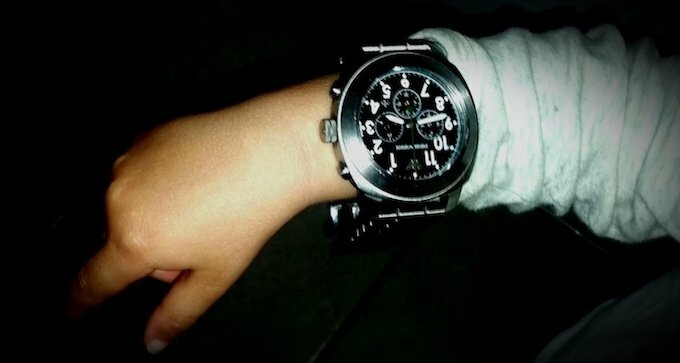 Whereas your watch simply counts seconds, you perceive time always in a specific moment of life. In a moment, you are evaluating your options in the light of the situation, your tasks, values, and responsibilities. Influenced by your current psychological + physical condition, you see possible outcomes which you perceive as feelings. Positive feelings motivate you towards an idea. Negative ones push you away from decisions. And as feelings are mixtures of chemicals in your brain which slow down or speed up the activity in certain areas, it affects your time perception too. A Formula 1 racing driver operates with a completely different time perception compared to you at the moment. And did you realise how you speed up your hand the closer it gets to a cup? Now, that's dedication! And User Experience: Patience depends on the urgency of needs. Let's take one step back to have a look at what actually influences your time perception now. Because as a human you are permanently travelling in time. A moment comes up in its relation to the experienced total lifetime. 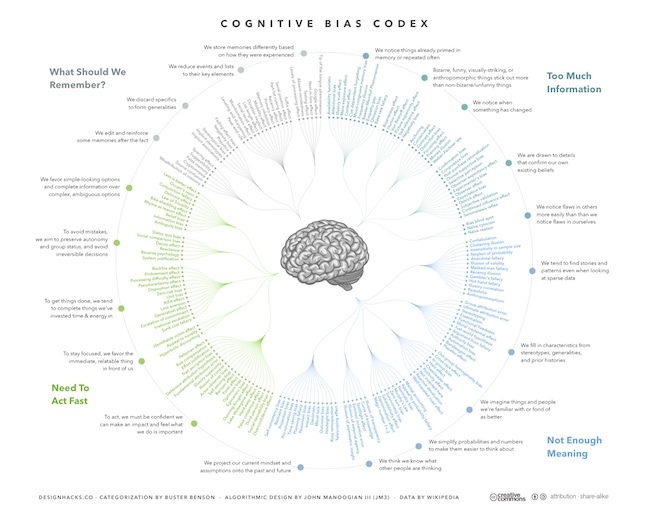 Clearly, expectations and patterns of thinking influence your Life UX. But even more important, the moment's proportion gets smaller, the older you are. This is why a random day seems to appear much longer for a child than an adult. And based solely on age, the factors for time acceleration would look like this: age 5 to 10 (1x), age 10 to 20 (2x), age 20 to 40 (4x), age 40 to 80 (8x). Of course, this is a very generic view which doesn't look at individual feelings in a moment of time - which are, of course, the main ingredients of every UX. But age is a factor that influences our perception of time too - and massively: "Wow, it's already December! This year went so fast." You know these words, don't you? Did you realise that rooms have individual temporalities, and thereby provide different styles of UX? Just think about all the rooms in your flat, or house, and realise the differences in your time perception and feelings. How does it feel in your kitchen? It's an area designed for a clear task (2.5 years cooking). Surely, it feels differently when sitting in a dining area, and eating the food (4 years). And how about your bedroom (25 years sleeping)? On the other hand, there are places that come with a variety of moods. Mostly, these are environments with multiple purposes where your time perception varies by your workload, and your motivation towards it. Just think about being at work (11.5 years), or in your garden, or in your living room (this time: cleaning!) - and realise the difference in your Experience as User. Time seems to go faster when you are busy, and slower when you are bored. Imagine, you managed to finish a lot of tasks in just one week. Looking back, your mind will go: "Wow, this was a long week!" It's like you could stretch time just by putting a lot of action in it - cool UX. On the other hand, you will easily remember moments where it felt the opposite. There was this biology teacher in my life, for example. The chemicals inside your brain make up what we call feelings. Think about the concentrated, completely zoomed-in Formula 1 racing car driver again, or a jet pilot. They are able to create a state of mind and UX with such a focus that their world literally starts to move in slow motion. And they certainly need such an UX in their job. In some countries, medical drugs supporting this effect are even compensatory for jet pilots when landing on an aircraft carrier. Because here, every little moment counts. When we are really into a situation, and like it, when we feel happy, motivated, and ready, it's a moment of fun, flow, joy, and other nice feelings. I like to call them Good Brain Juice (a term which I learned from Richard Bandler ). It describes a mixture of chemicals in your head which provides you with the right resources, focus, and state of mind — suitable for a great UX in a moment. And this UX has an effect on specific areas of your brain where all activity will become faster, or slower, again - depending on your UX and how you feel. That way, the initial feelings even get stronger. The Bizarreness Effect, for example, describes the tendency of bizarre, funny, visual-striking, and surprising things (cool UX) to be better remembered than common things (lame UX). The Levels-of-processing Effect and the Context Effect give the hint that we store memories differently based on how they were experienced (there you go: user experience). Niklas Luhmann invites you to look at the human as a black box that communicates information in the media of sense. It takes in input when it perceives information with relevance to its specific system/intention (otherwise it's just noise). And it sends out information coded accordingly too. For our purpose, we can say, that we can't look inside of such a box. But we perceive its output, and actions, and can guess about the input it takes in as information - and create a hypothesis about its User Experience. Every box has its own internal programmes, and mode of operation. This is the way we actually perceive our peers, and fellow humans, isn't it? Think about being in a supermarket. It's the best behavioural/UX laboratory that I know: You see people around you looking at ingredients (input), and their salvation starts (output) as they are obviously hallucinating already eating the ready meal at home (internal programme). He takes in a given input and transforms it into something new by own composition. This is happening in all decision making processes: Every time when you evaluate your possible options, you take in all relevant information which is available to you in-the-moment, externally (given in the situation/provided as UX), and internally (memories filtered by your cognitive bias). Now, you either justify (yes/no), or postpone a decision when you feel the need for further information which isn't currently available to you. Imagine, you are considering the purchase of a new car. Would you make such a decision straight away, or would you consider possible alternatives, and ask for somebody's feedback? The higher the perceived decision size, the higher your need for further consideration. We put the consumer at the center of everything we do. In ways large and small, P&G was not living up to the consumer-is-boss standard; that is why we were losing market share in core categories. Now we spend much more time with consumers, in stores and in their homes and in consumer-testing centers of all kind — to watch them use our products, to listen to them, and to learn from them what they want from us. Our goal at P&G is to delight our customers at two moments of truth: first, when they buy a product [FMOT], and second, when they use it [SMOT]. To achieve that, we live with our consumers and see the world and opportunities for new-product initiatives through their eyes. We do this because we win when more consumers use our brands — and do so repeatedly. We win when consumers use our products more loyally. We win when consumers trade up to higher-priced, higher-margin brands. Stimulus. Dad is watching a football game and sees an ad for digital cameras. He thinks, That looks good. Shelf. He goes to his favorite electronics store, where he sees a terrific standup display for that same digital camera. The packaging is great. A young sales guy answers all his questions. He buys the camera. 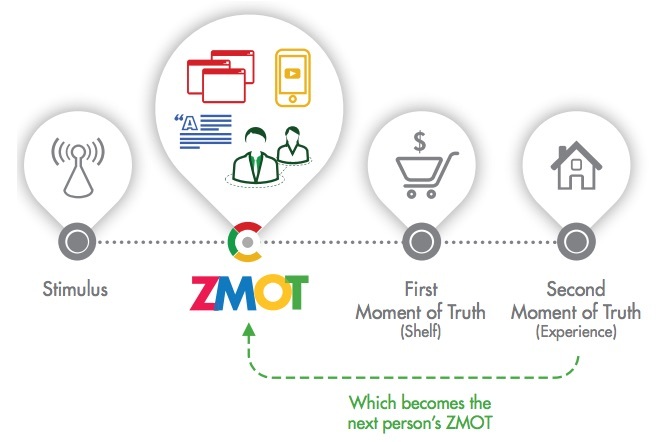 ZMOT is that moment when you grab your laptop, mobile phone or some other wired device and start learning about a product or service (or potential boyfriend) you're thinking about trying or buying. I'm sure you know what I mean — you probably do web searches like this every day. Dad still watches football and he still sees your TV commercial. But now he grabs his laptop off the coffee table and searches for digital camera reviews. He looks at comments from users on CNET and two other sites. He goes to Twitter and posts: Anybody have a great camera for under $100? He hits YouTube and searches digital camera demos. Before the game ends — and before he gets to the store shelf — he's ready to make a decision. A BUSY MOM IN A MINIVAN, looking up decongestants on her mobile phone as she waits to pick up her son at school. AN OFFICE MANAGER AT HER DESK, comparing laser printer prices and ink cartridge costs before heading to the office supply store. A STUDENT IN A CAFE, scanning user ratings and reviews while looking for a cheap hotel in Barcelona. A WINTER SPORTS FAN IN A SKI STORE, pulling out a mobile phone to look at video reviews of the latest snowboards. A YOUNG WOMAN IN HER CONDO, searching the web for juicy details about a new guy before a blind date. Let’s say you have guests coming over any minute and you want to whip up a quick bowl of guacamole. Do you go to a bookshelf and look for a recipe somewhere in the stacks? Do you call your mom on the phone (she makes a mean guac, I am sure!)? Or, do you pull out your phone, hit a few buttons, and quickly pull up a how-to video? Well, assuming you do the latter, you’re far from alone. Our research has found that 91% of smartphone users would do the same thing–look up information on their smartphone while right in the middle of a task. Getting guac tips from your phone may seem like a very small moment, but add all these small moments together and you’ve got a major shift, with profound implications for people who are trying to reach that harried cook and the billions more like her. Our research has uncovered a fundamental change in the way people consume media: the old days of predictable, periodic media sessions have been replaced by numerous short bursts of digital activity throughout the day. The old model was a four-course meal in the same restaurant. Today’s is a series of constant bite sized snacks all over town. Some of these hundreds of moments per day are when people are checking the time, texting with a spouse, or catching up with friends on social media. Seeing your friends’ photos, or messaging your partner to pick up milk on the way home from work may be very common moments, but they may not be when consumers are actually most receptive to brands’ messages. But then there are those moments that really matter—the I want-to-know moments, I want-to-go moments, I want-to-do moments, and I want-to-buy moments. They matter to consumers and they matter to brands. These moments, or micro-moments are when we act on a need—to learn something, do something, discover something, watch something or buy something. They are intent-rich moments where decisions are being made and preferences being shaped. We see them constantly, across billions of monthly searches, billions of hours of videos watched every month, billions of interactions with various sites and apps. These aren’t just people inattentively tapping things into their phone; they rather are the new battleground for hearts, minds and, with them, the dollars their attention brings along. This is a pretty seismic change for advertisers. There are no longer just a few sporadic “a-ha!” moments of truth; now there are countless moments that matter. What makes this new moment interesting and equally challenging is that it’s not really one moment, it’s a series of micro-moments that amount to the new reality of consumer behavior. Building upon the Zero Moment of Truth (ZMOT) and the consumer steps that followed, these new micro-moments unbundle activities and break them down into smaller, more manageable (and winnable) scenarios. Smartphones enable users to access clouds, and communities full of feedback, and information — everywhere, and directly in the moment when it's needed. This speeds up traditional evaluation processes, and decision making massively and offers the possibility for immediate action in many situations - a fundamentally new way of possible User Interaction and User Experience. These moments of very short + intentional interactions are called Micro Moments - and Mobile UX. Thanks to mobile, micro-moments can happen anytime, anywhere. In those moments, consumers expect brands to address their needs with real-time relevance. 2.1) People evaluate purchase decisions in-the-moment. "82% of smartphone users turn to their phone to influence a purchase decision while in a store." Giana justified a higher-priced item while in-store. Danielle gained confidence in using a new product. Shoppers turned to mobile not only to find the best deals online but also to discover the best deals in-store: Rhode Island and Delaware had the most local shopping search interest: searches that contained near me, hours, and stores of any states in the nation. 2.2) People solve unexpected problems in-the-moment. "62% of smartphone users are more likely to take action right away toward solving an unexpected problem or new task because they have a smartphone." Cathy tackled her to-do before it hit her list. Ben dealt with a minor crisis across devices. 2.3) People pursue big goals in small moments. "90% of smartphone users have used their phone to make progress toward a long term goal or multi-step process while 'out and about.'" Erica planned for a new home during spare moments. Marlhon kicked off a career change while on-the-go. 2.4) People try new things in routine moments. "91% of smartphone users turn to their phone for ideas while doing a given task." Mabel found a look she loved while getting ready. Leif called ahead and it paid off. "Smartphones allow us to act on any impulse at any time. We take immediate action whenever we want to learn, find, do or buy something." "When we act on our needs in-the-moment, our expectations are high and our patience is low. This makes the quality, relevance, and usefulness of marketing more important than ever." The average U.S. retail mobile site loaded in 6.9 seconds in July 2016, but, according to the most recent data, 40% of consumers will leave a page that takes longer than three seconds to load. And 79% of shoppers who are dissatisfied with site performance say they're less likely to purchase from the same site again. "Our preferences and purchases are shaped in these micro-moments. Ultimately, the brands that do the best job of addressing our needs in each moment will win." 4.1) Make a moments map. "Identify a set of moments you want to win or can't afford to lose. Examine all phases of the consumer journey to map moments when people want to find inspiration, learn about your products, make a quick purchase, or anything in between." 4.2) Understand customer needs in-the-moment. "For each moment you want to win, put yourself in the consumer's shoes. Ask 'What would make this easier or faster? What content or features would be most helpful for this moment?'" 4.3) Use context to deliver the right experience. "Leverage contextual signals like location and time of day to deliver experiences and messages that feel tailor-made for the moment. For example, let customers searching nearby your stores know when the products they're looking for are in-stock or available for pickup in-store." 4.4) Optimise across the journey. "People move seamlessly across screens and channels. Does your brand deliver seamlessly in return? Don't let competing objectives or department silos stand in the way. To account for today's complex, fractured journeys, anchor completely on the consumer and organize around moments." 4.5) Measure every moment that matters. "You cannot afford to under-serve your customers while you're dealing with measurement gaps. While the return on investment for certain moments may not yet be directly measurable, train your team to use credible estimates to ensure nothing's falling through the cracks." In short: Offer the right content directly for the current intention of your audience, and assume the feelings, motivation, and the perceived urgency in order to create a suitable pitch with information, and insights (that's why responsive doesn't automatically mean mobile). It's all about relevancy and providing the best help/answers in-the-moment. Micro Moments affect UX in all areas of our life. It's a generic behaviour change that happened in the light of mobile connectivity. And this makes the outlined approach not just relevant for business strategies, but also for research, and science. Research & Science are traditionally areas of our life which lived well without very dedicated Marketing & UX Strategies. But the supply of scientific information skyrockets day by day. This created the need for a Marketing/UX Approach for non-sales content. What does this mean for your Research Publications? Do the 5 Steps outlined above, and stop publishing your research in just one big piece. Divide it into small pieces, bits of information, written in a nice language, on the point, and easy to understand — suitable for the audience you want to target in specific micro moments. Like this, you will create awareness for your name, and branding for your bigger research project, by offering a nice plus consistent User Experience - straight from the beginning. It's important to understand that — even in science — your are in competition with many of your peers, and it's not the best idea which will succeed, but the idea which targets its audience best. For best practice, just check how Google presents the Research Study about Micro Moments . Be There, Be Useful, Be Quick.